FC Barcelona can take a pair of steps towards two of this season’s main objectives this week when it plays at Valencia in the second leg of the Copa del Rey semifinals on Thursday night before returning home Sunday afternoon for a La Liga clash with Getafe. Barça will take a 1–0 aggregate lead to the Mestalla, where a win or draw would seal Barça’s presence at a fourth straight Cup final. 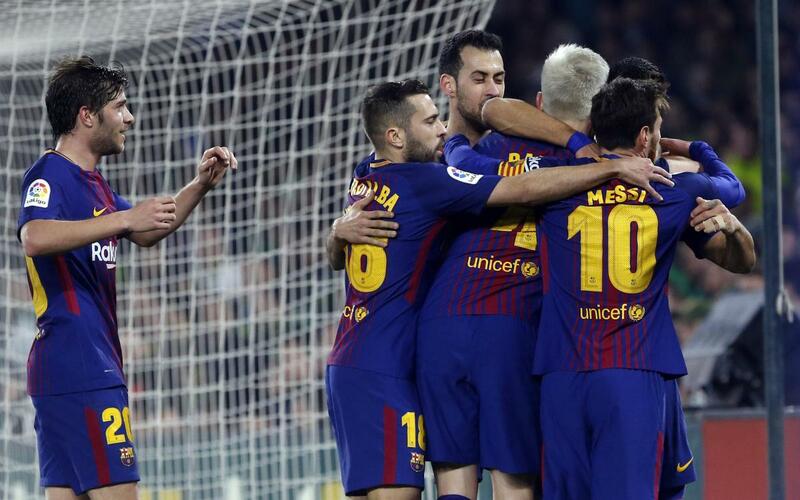 Barça — the all-time leader in Copa del Rey titles with 30 — has won the last three in a row and is vying to become the first team to win four straight since the early 1930s. Should Barça go through, it will face the winner of the other semifinal, between Sevilla and Leganés, which drew 1–1 in the first leg at Leganés. “We won't be going to Valencia to settle for a draw,” head coach Ernesto Valverde said following Barça’s 1–0 first-leg win at Camp Nou last week. Kickoff on Thursday is at 9.30pm CET. Then, less than 72 hours later, the Catalans will be back at Camp Nou looking to maintain its nine-point lead over Atlético Madrid — its closest pursuer — at the top of the La Liga table. The only thing standing in the way of three more points and an extension of Barça’s record unbeaten run is Madrid-based Getafe, which is currently in 11th place. Thus, two more favorable results in the coming days to inch Barça closer to some much-coveted hardware.